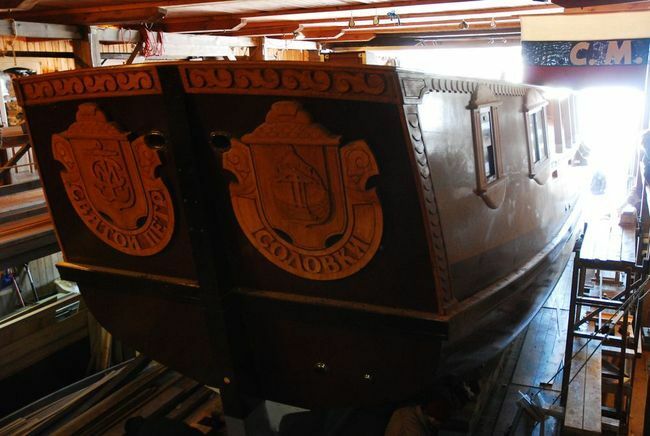 The yacht "St. Peter", which served as the prototype for a vessel of the same name built in 1693, is being built at a shipyard Solovetsky Maritime Museum since 2003. Today the ship was taken out of the shipyard to continue the work: installation mast, rigging and decor. At the same time continue and domestic work. "Saint Peter" is planned into the water July 30 this year, and then will begin sea trials in the White Sea. 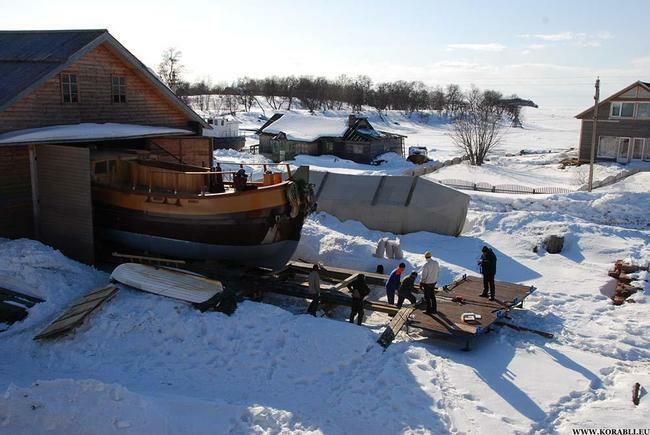 Solovetsky Maritime Museum — a non-profit project of the NGO "Association of Northern Navigation" — Orthodox Museum, which tells about the spiritual and economic development of marine and coastal area expanses of the Russian North. The prototype for the construction of a modern yacht "St. Peter" was an yacht that Emperor Peter I met with the White Sea in 1693. "St. Peter" — the first Russian warship that swept the Russian flag in foreign waters. Peter I yacht built in Arkhangelsk on the Dutch sample in 1693. This small sailboat had one mast with a direct and oblique sails and was armed with 12 guns. LOA composes of 17 meters and its width — 5.7 meters. Peter I first came to him in the open sea involving the retirement of Arkhangelsk Dutch and English merchant ships and came with them to the eastern coast of the Kola Peninsula. Next May, 1694, he again comes to Arkhangelsk and is navigating on the Solovetsky Islands, and then to accompany the next convoy of merchant ships departing from Arkhangelsk to Cape Saint Nose, in other words, before going into the ocean. 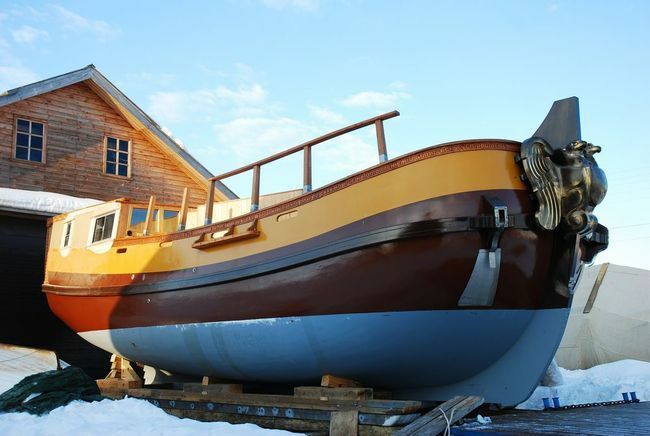 After serving thirty years of naval service, is the first yacht in Arkhangelsk museum object.